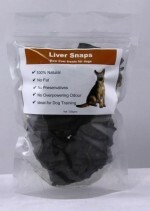 This Month Iron Dog is running an August Sale on our Liver Snaps! Do you treat your dog, use treats for rewards, training aid and or snacks? Then you should be using quality product free from preservatives, natural and Australian made.